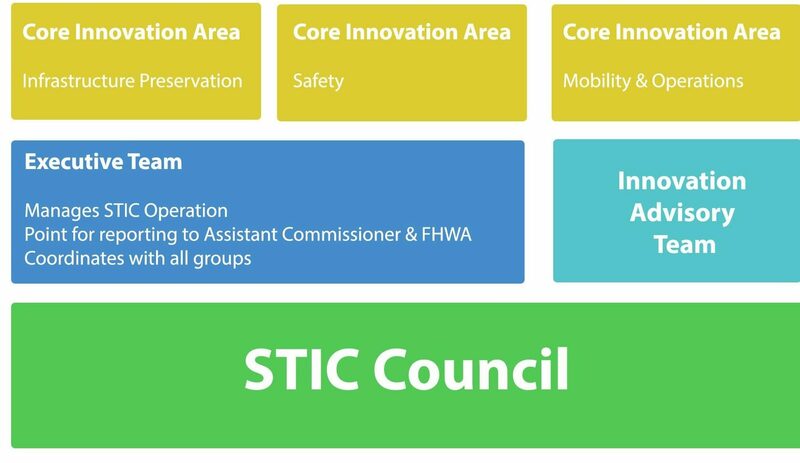 The State Transportation Innovation Council (STIC) National Network was born out of Federal Highway Administration’s (FHWA) Every Day Counts program. The program helps state DOTs identify and rapidly deploy proven, yet underutilized innovations to shorten project delivery, enhance safety, reduce congestion, and improve environmental sustainability. Each state’s STIC is charged with establishing a process in which ideas, innovative techniques and processes can be evaluated and implemented quickly and proficiently. 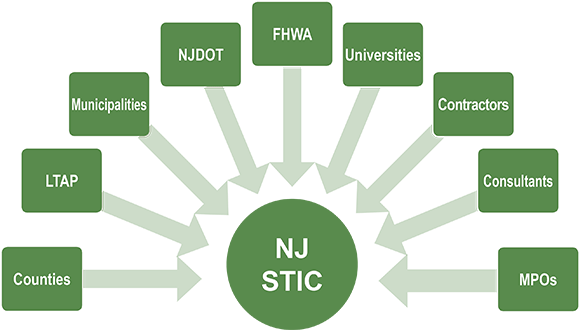 NJ’s STIC members are a cross-section of various stakeholders, state and federal agencies, local governments, academia and industry partners that work together to forge an environment of innovation, imagination and ingenuity to pursue specific initiatives and their rapid implementation to deliver a modern and high quality transportation system to the Garden State. The NJ STIC meets quarterly at the NJDOT Headquarters to discuss innovation deployments, progress updates on innovative initiatives, and suggestions for additional initiatives moving forward. Innovative ideas are solicited from members, other transportation professionals, as well as the general public. The ideas then go through the Innovative Advisory Team’s (IAT) vetting process that involves screening, prioritizing, and making a final decision as to whether the idea will be assigned to one of the Core Innovation Areas (CIAs) for deployment: Infrastructure Preservation, Safety and Mobility or Operations. The purchase of Unmanned Aerial Systems (UAS) with the goal of developing guidance and specifications for bridge inspection and traffic incident monitoring. First application of Geosynthetic Reinforced Soil-Integrated Bridge Systems (GRS-IBS) in Gloucester County, to help reduce construction costs. If you need more information, contact DOT-Innovative.Idea@dot.nj.gov. Got innovative ideas or other thoughts that could help improve transportation in New Jersey? Share your ideas with us.